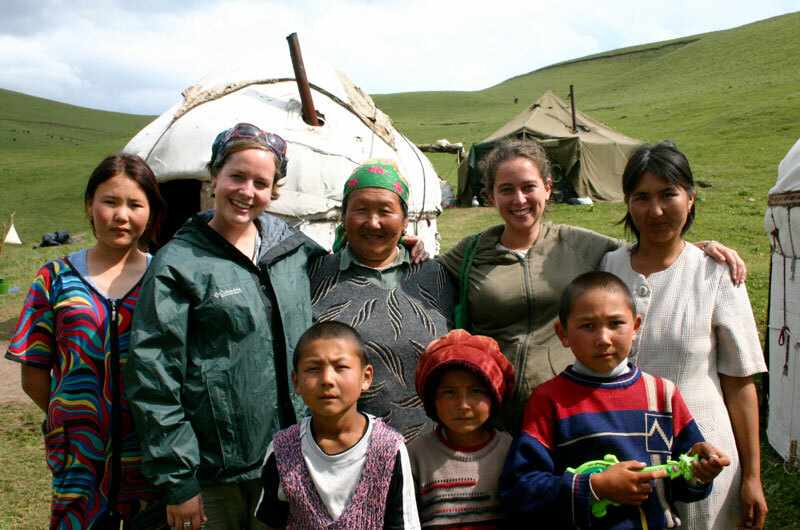 What Kind of People Will I Meet in Kyrgyzstan? Bazaars in Kyrgyzstan are the epitome of awesomeness when it comes to shopping: rows and rows of shipping containers bursting with all kinds of goods, shoppers crowded into narrow walkways, and vendors bargaining and exchanging money with several people simultaneously. Of course, this is a normal day on a weekend. If you don’t care for crowds, hit the bazaars on a weekday and you’ll have a much tamer experience that will allow you more time to chat with sellers. 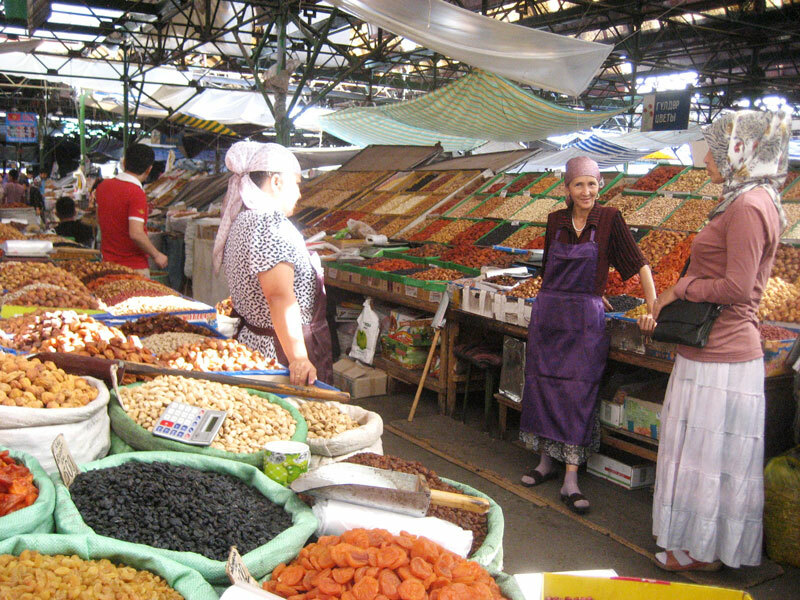 Even if you’re not fluent in Russian or Kyrgyz, you’ll find that market sellers have learned ways of communicating with people from different countries and you’ll no doubt manage to have some interesting conversations. 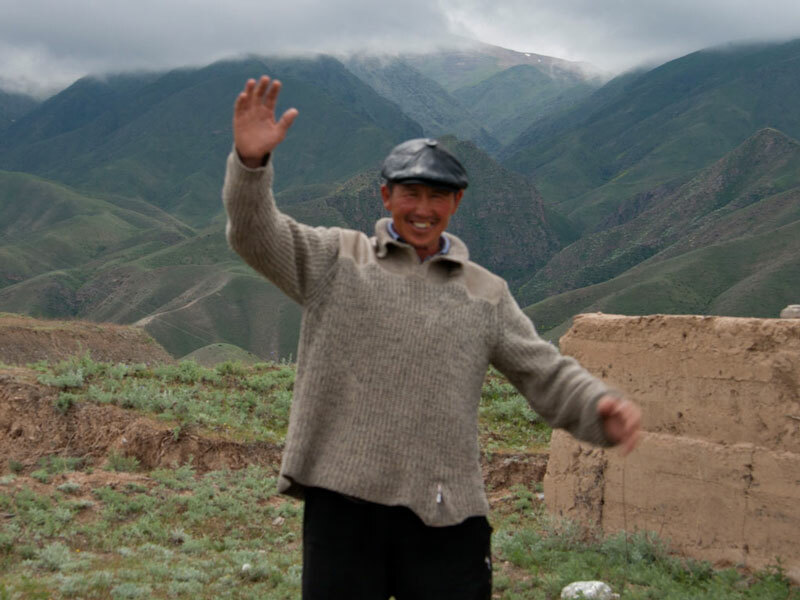 I once bought some household supplies from an elderly Kyrgyz gentlemen who was concerned about my marital status and offered, very kindly, to find me someone in Kyrgyzstan to marry. Some of the nicest people you’ll meet run guesthouses in Kyrgyzstan. Since Kyrgyzstan’s is a hospitality culture, staying at guesthouses (or hostels) is a very pleasant experience. Owners (or caretakers of guesthouses) cook really nice homemade meals and often live there as well, so someone is usually available to help you with questions or whatever else you might need. I once met a lady who collected exotic plants from all over the world to grow in her guesthouse garden so her guests would have a beautiful setting in which to stay. 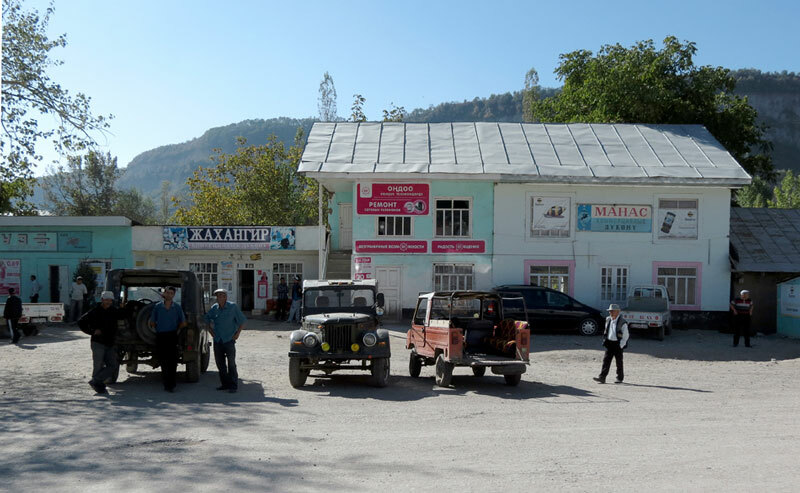 If you plan on traveling outside of Bishkek, you’ll no doubt meet some guesthouse owners during your travels. When the weather is warm in Kyrgyzstan, you’ll often see older women, babushkas, selling a random assortment of items on the side of the road. It could be anything from clothing to books to homemade jam. I’ve always enjoyed dropping by to look at these ladies’ items because I usually end up in a pleasant conversation with them and walking away with some killer homemade jam! 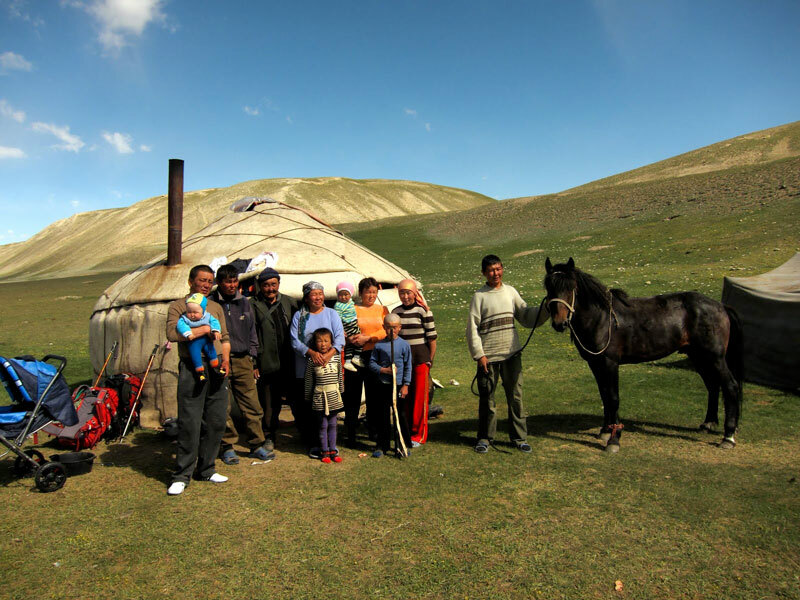 As you’re driving around between cities in Kyrgyzstan, you’ll probably notice yurts sitting next to the road where nomadic families are selling traditional food. You don’t want to miss out on these dishes! Plus, if you happen to catch them at the right time, you can see them milking their horses to make Kyrgyzstan’s national drink, kymyz. They let the milk ferment slightly and then serve it chilled to guests. You’ll also see shepherd boys herding sheep in the mountain pastures. Some of my favorite shots are of these guys because they love posing for pictures with a massive grin on their face! Taxi drivers in Kyrgyzstan are pros at communicating with travelers! Many of them are fairly chatty if you strike up a conversation and will want to hear where you come from and what you do. One time I was in a taxi with a foreigner who was trying to ask the driver about Kyrgyzstan, but the foreigner knew very little Russian. To help the communication process, the taxi driver drew on his knowledge of 4 different languages to piecemeal together a conversation that would work for both of them. Oddly enough, but the end of the ride they had managed to get everything figured out, exchanged cards, and shook hands like old friends! I was impressed! This is only a small segment of Kyrgyz society of course. You’ll run across businessmen, expats, eagle hunters, carpet weavers, horseback guides, and so on. 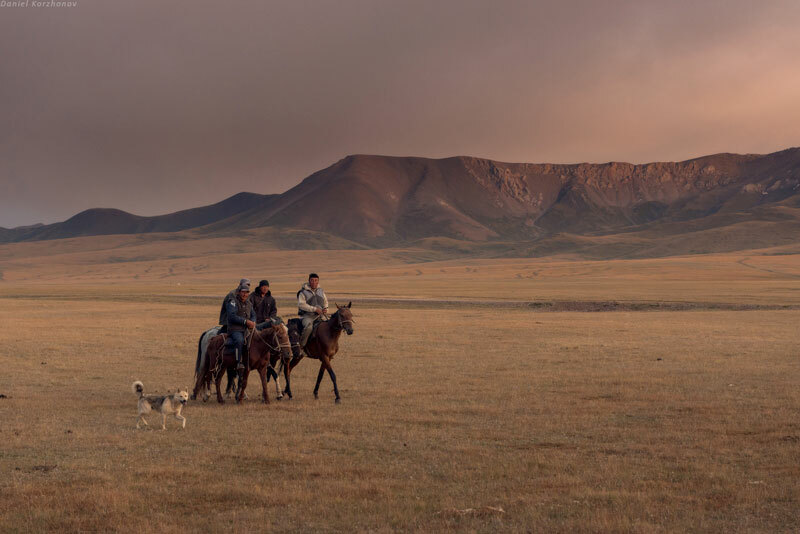 The nice thing about the people of Kyrgyzstan though is that most everyone is happy to help you, answer questions, feed you (if you’re in the rural areas especially), or try to speak some English with you they learned in school. The people you meet during your journeys are sure to leave you with some unforgeable memories and make you want to come back again! The price depends on a group size. The price 2690 USD per person is available for groups of 4 people. The tour price is 330 USD. The price doesn't depend on the amount of people in a group. The tour will be fulfilled even if only one person buy it. Price from 1320 USD to 1620 USD per person (the price depends on a group size). The price 1320 USD per person is available for groups of 6 people. The tour price is 2900 USD. The price doesn't depend on the amount of people in a group. The tour will be fulfilled even if only one person buy it. The tour price is 2120 USD. The price doesn't depend on the amount of people in a group. The tour will be fulfilled even if only one person buy it. The tour price is 1980 USD. The price doesn't depend on the amount of people in a group. The tour will be fulfilled even if only one person buy it. The tour price is 2460 USD. The price doesn't depend on the amount of people in a group. The tour will be fulfilled even if only one person buy it. The tour price is 2150 USD. The price doesn't depend on the amount of people in a group. The tour will be fulfilled even if only one person buy it. The tour price is 1870 USD. The price doesn't depend on the amount of people in a group. The tour will be fulfilled even if only one person buy it. The tour price is 2640 USD. The price doesn't depend on the amount of people in a group. The tour will be fulfilled even if only one person buy it. Price from 50 USD to 100 USD per person (the price depends on a group size). The price 50 USD per person is available for groups of 6 people. Price from 90 USD to 120 USD per person (the price depends on a group size). The price 90 USD per person is available for groups of 5 people.